Designed in an exclusive collaboration between Tacky and Orvis. 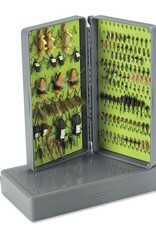 The perfect box to organize flies for dropper fishing. One side has the Original Tacky Mat for small nymphs and the other side has the Big Bug Tacky Mat for larger patterns such as streamers, hoppers, stimulators, parachutes, and larger nymphs. 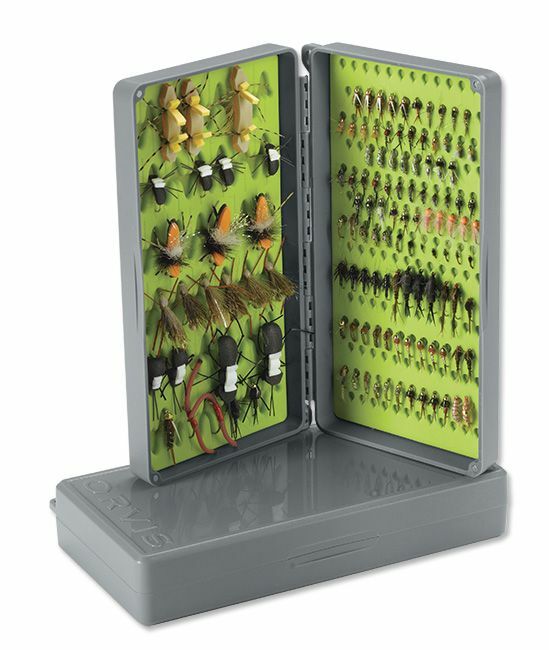 Holds 240 flies total. Tacky silicone mats hold better and are much more durable. The box is a tough polycarbonate that won't warp and closes with a secure magnetic closure. Slim profile takes up less room in your vest. In solid gray. 7"L x 3¾"W x 1¼"D.